Home » Blog » Orthodontic FAQs » Can You Get Braces with Missing Teeth? Sometimes, you need orthodontic treatment with a missing tooth. Whether you’re an adult with congenitally missing teeth, your child loses a baby molar during early treatment, or you’ve lost a tooth for another reason, you can still get braces with missing teeth. In fact, there are many situations when orthodontic treatment is recommended for patients with missing teeth. Children who have malocclusions that can affect their jaw growth or the eruption of their adult teeth often have orthodontic treatment at a young age. During this early treatment, braces and spacers are used to correctly space remaining teeth to allow room for adult tooth eruption. Sometimes, that treatment is necessary in order to make room for adult teeth to come in at all. Severe malocclusions can prevent adult teeth from erupting, so braces are necessary for proper development. For adults, getting braces with missing teeth can be equally important. A missing adult tooth can cause the remaining teeth to shift, change your bite, cause bone loss, and cause unnecessary strain and wear on your remaining teeth and jaw joint. The best option is always to replace a missing tooth, preferably with an implant, but if your teeth have already shifted or grew in with spacing problems due to a congenitally missing tooth, you might need orthodontic treatment to create space for the replacement. Even if you don’t intend to replace your missing tooth with an implant, though, orthodontic treatment can help correct spacing problems with remaining teeth. You might consider getting a dental bridge or a partial denture as a temporary solution. A dental implant is generally considered the best option because it’s durable, long lasting, and the closest you’ll get to a natural tooth. A dental implant gives you an artificial tooth root that’s anchored in your jaw to provide a strong foundation and to correctly distribute your bite pressure like a natural tooth does. This helps prevent bone loss and evens the wear and strain on your other teeth and jaw joint. Implants take several visits to the dentist, and since implants are surgically implanted in bone, the entire procedure usually takes longer than 3 months. Dental implants are a little pricey, too, and if cost is a major concern, you might look at another option. The next best option is a dental bridge. Your dentist places a crown on the teeth on either side of the gap, and they’re attached to a false tooth that fills the empty space. While a dental bridge isn’t as ideal as an implant, they’re a faster and simpler procedure that gets the job done. Dental bridges generally need to be replaced every 5 to 7 years, and while they don’t look as natural as an implant, they’re still fairly inconspicuous. If neither of those options seem viable, you might get a partial denture instead. These removable appliances rest on your existing teeth and gums, and they can serve as a temporary solution until you’re able to get a bridge or an implant. Partial dentures are less invasive than the more involved procedures mentioned above, but they also have more disadvantages. Using a partial denture can speed the decay of your remaining teeth, and the break-in time while your mouth adjusts to the denture can be uncomfortable. 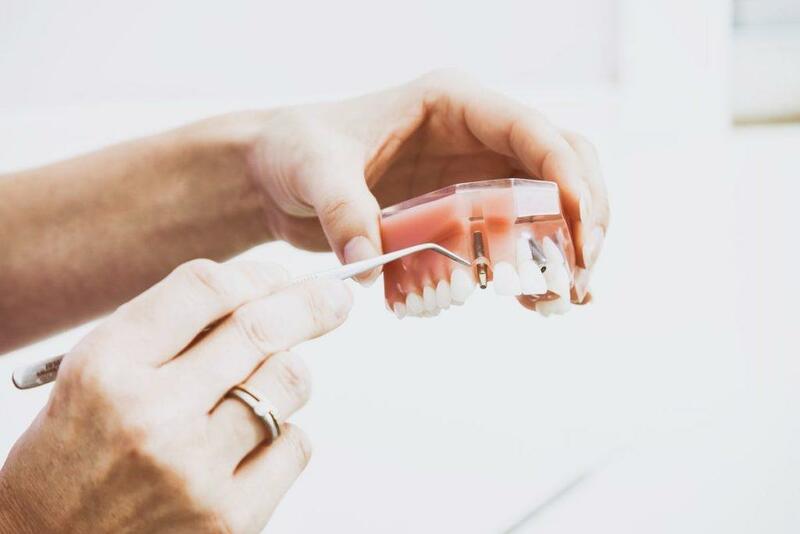 Caring for your partial denture is as important as caring for your remaining teeth, so if you choose a partial as a tooth replacement option, be prepared for the care and maintenance. Getting braces or other orthodontic treatment with missing teeth is practical and intelligent. If you’d like to discuss your treatment options, schedule an appointment with your family dentist or orthodontist today.